In 2005, 50 Cent recorded a song called "This Is 50" and the song ended up being a part of The Massacre. While it was not released as a single, "This Is 50" became very popular with fans. 50 Cent has been known for being rather cocky, but it had reached an all-time high in 2007. Because he had sold at least five million albums on his first two releases, 50 Cent expected the same results on his 2007 album. But, his album only sold one million copies. Following the low sales, 50 was upset and he called the album a "flop." However, he went back to his 2005 song for inspiration. During the fall of 2007, 50 Cent launched ThisIs50.com, a social networking hip hop news site. Even with his own popularity waning, the site brought in plenty of traffic. Four years later, it is one of the biggest hip hop sites online. The site is best-known for their rivalry with WorldStarHipHop.com, the biggest hip hop site online. 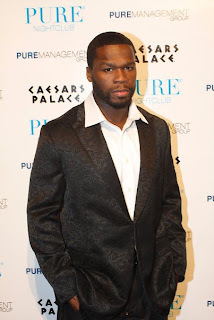 50 Cent has been expanding all of his business ventures, but he has refocused on his ThisIs50 brand. Adding to the brand this year will be a comedy show. Later this year, 50 Cent will launch the "This Is 50" comedy show. The idea comes from Russell Simmons' Def Comedy Jam and 50 Cent has already established partnerships in order to get the ball rolling. 50 Cent has already signed the first comedian, Young Jack Thriller and he has already taped him.